Geneva/Kasane, 23 March 2015 – According to the latest figures released by the CITES programme for Monitoring the Illegal Killing of Elephants, commonly known as MIKE, overall elephant poaching rates at monitored sites remained virtually unchanged in 2014 compared to the previous year. Poaching rates still exceed natural elephant population growth rates, meaning a continued decline in elephant numbers overall is likely. The latest CITES MIKE figures presented today at the African Elephant Summit in Kasane (Botswana), show no increase in the overall poaching trends in 2014, with levels dropping and then levelling off since the peak in 2011. However, with overall killing rates exceeding natural birth rates, poaching trends remain far too high and at a level that cannot be sustained. "African elephant populations continue to face an immediate threat to their survival from high-levels of poaching for their ivory, especially in Central and West Africa where the situation appears to have deteriorated. We are however also seeing some encouraging signals in parts of East Africa where the overall poaching trends have declined, which shows us all what is possible through a sustained and collective effort” said John E. Scanlon, CITES Secretary-General. CITES has identified 22 countries that are most heavily implicated in the illegal trade in ivory. These are categorized as countries of ‘primary concern’ (eight Parties), ‘secondary concern’ (eight Parties) and ‘importance to watch’ (six Parties). 19 of these 22 countries were requested by the CITES Standing Committee to develop and implement National Ivory Action Plans (NIAPs). The CITES Standing Committee has recommended last week that all Parties suspend commercial trade in CITES-listed species with the Democratic Republic of Congo, Lao People’s Democratic Republic and Nigeria, as these countries have not submitted their National Ivory Action Plans (NIAPs) to the CITES Secretariat by the deadline specified by the Standing Committee. “The momentum generated over the past few years is translating into deeper and stronger efforts to fight these crimes on the front line, where it is needed most - from the field, to police and customs, to illicit markets - and this enhanced front line effort gives us confidence that if we persist with, and deepen this collective effort, we will reverse the devastating poaching trends of the past decade” added Scanlon. Commenting on the latest figures, Julian Blanc, responsible for the MIKE programme, said: “The data contributed by elephant range States allow us to provide the only objective and quantitative measure available of poaching levels across Africa. This is made possible with the financial support of the European Union to the MIKE programme, for which we are very grateful. These poaching trends highlight the need to redouble efforts to mitigate the problem by addressing demand for illegal ivory, strengthening management and ensuring sustainable livelihoods for people who live with elephants”. Figure 2. Subregional PIKE trends with 95 % confidence intervals. The numbers of carcasses on which the graphs are based are shown at the bottom of each graph. Sites such as Bangassou (Central African Republic), Garamba (Democratic Republic of the Congo), Niassa (Mozambique), Pendjari (Benin) and Selous-Mikumi (United Republic of Tanzania) remain of particular concern. On the other hand, substantial declines in poaching levels have been reported in Caprivi (Namibia); Chewore (Zimbabwe); Meru, Samburu and Laikipia (Kenya); Ruaha-Rungwa (United Republic of Tanzania); and South Luangwa (Zambia). National Ivory Action Plans (NIAPs) are the tool used by CITES in 19 of these 22 countries to strengthen their controls of the trade in ivory and ivory markets, and help combat the illegal trade in ivory. Each plan outlines the urgent measures that a CITES Party commits to deliver – including legislative, enforcement and public awareness actions as required – along with specified time frames and milestones for implementation. The full list of countries concerned and detailed information about the NIAP process is available at http://cites.org/eng/niaps. The CITES programme for Monitoring the Illegal Killing of Elephants, commonly known as MIKE, was established by the Conference of the Parties (CoP) at its 10th Meeting (Harare, 1997) in accordance with the provisions in Resolution Conf. 10.10 (Rev. CoP16) on Trade in elephant specimens. 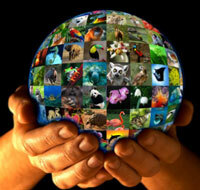 The MIKE Programme is managed by the CITES Secretariat under the supervision of the CITES Standing Committee. Since implementation began in 2001, the implementation of the MIKE Programme in Africa has been possible thanks to the financial support of the European Union. MIKE aims to inform and improve decision-making on elephants by measuring trends in levels of illegal killing of elephants, identifying factors associated with those trends, and building capacity for elephant management in range States. MIKE operates in a large sample of sites spread across elephant range in 30 countries in Africa and 13 countries in Asia. There are some 60 designated MIKE sites in Africa, which together hold an estimated 30 to 40% of the continental elephant population, and 27 sites in Asia. Note to editors: For more information, contact Juan Carlos Vasquez at +41 22 917 8156 or [email protected]. With 180 Member States, CITES remains one of the world's most powerful tools for biodiversity conservation through the regulation of trade in wild fauna and flora. Thousands of species are internationally traded and used by people in their daily lives for food, housing, health care, ecotourism, cosmetics or fashion. CITES was signed in Washington D.C. on 3 March 1973.